Successfully Added Android Rugged Smartphone 'Ox II' - Android 4.4 OS, MTK6582 Quad Core CPU, IP67 Waterproof + Dust Proof Rating, OTG (Green) to your Shopping Cart. This is the perfect phone if you’re working or playing in an outdoor environment. This Android 4.4 phone has a 3000mAh battery that offers long life usage time of 5 to 8 hours as well as 150 hours in standby mode. 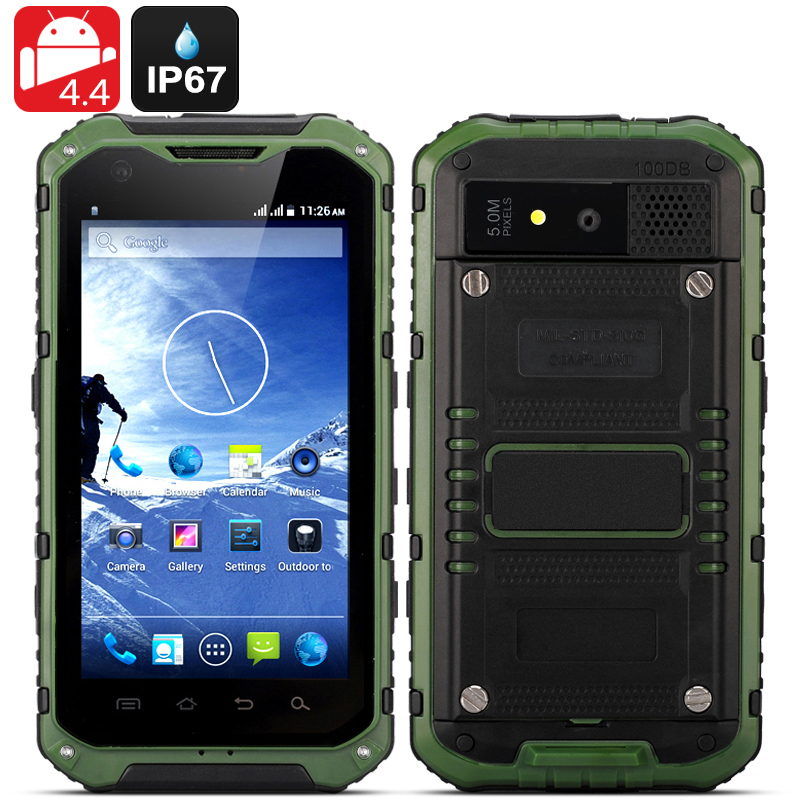 Featuring a rubberized exterior and grip, this tough phone is easy to use and its tested IP67 waterproof and dust proof rating means that it’s totally resilient to dirt and dust plus it can also withstand being submerged in water up to 1 meter in depth. The MTK6582 quad core 1.3GHz CPU results in this phone running the latest applications easily; therefore keeping in contact with friends in addition to updating your status while out and about couldn’t be simpler. An 8 megapixel rear camera can capture high quality pictures and videos so you won’t miss those quality moments. 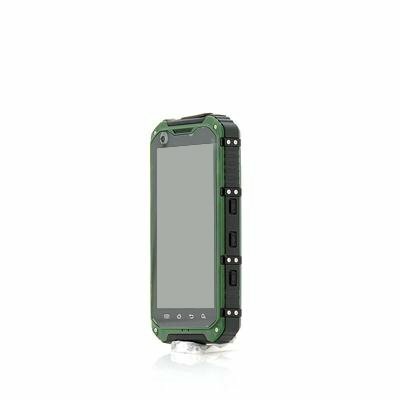 This phone is also supports OTG so you can connect external hardware such as a keyboard, mouse or flash drive so you can do even more with this rugged Android smartphone. Don’t worry about running out of storage space as this rugged phone has 8GB of internal memory as well as offering the ability to add an extra 32GB via the micro SD card slot.